Established as Attack Squadron ONE HUNDRED FIFTY FIVE (VA-155) on 1 September 1987. Disestablished on 30 April 1993. 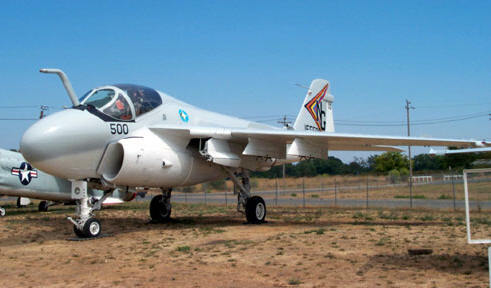 The third squadron to be assigned the VA-155 designation. The squadron’s insignia was approved by CNO on 24 July 1987. Colors for the Silver Fox insignia are as follows: the circular design is outlined in silver with the upper background black and lower background blue with light blue highlights; yellow star, lightning bolt, moon, and wolf’s pupils; silver wolf with black markings and outlined in white; and a silver scroll, outlined in black with black lettering. 15 August–8 October 1988: Independence (CV 62),with VA-155 embarked, conducted a change of homeport transit from Norfolk to San Diego via Cape Horn. During the transit numerous air power demonstrations were conducted for dignitaries from various South American countries. 17 Jan 1991: The squadron conducted its first combat operations. VA-155’s commanding officer, Commander Sweigart, led Air Wing Two’s aircraft in its first strike against Iraq. 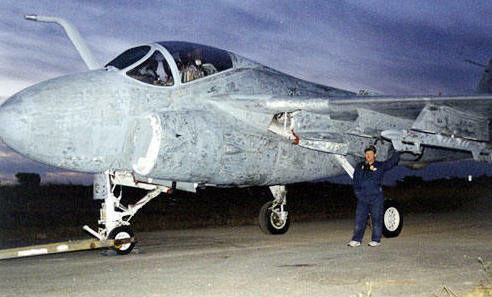 18 Jan 1991: The squadron suffered its first and only loss during the war with Iraq when one of its A-6E Intruders was shot down while on a mining sortie by the Um Qasr Naval Base in Iraq. 28 Feb 1991: Ranger’s last combat strike of the Gulf War was launched and led by a VA-155 aircraft. During the 43 day Gulf War the squadron flew 1,388.4 hours, a total of 635 sorties, and delivered 2,289,940 pounds of ordnance on Iraqi military targets. Sep–Dec 1992: Squadron aircraft flew sorties in support of Operation Southern Watch, flights over southern Iraq south of the 32nd parallel to ensure Iraq was adhering to United Nations sanctions. Dec 1992: The squadron participated in Operation Restore Hope, flying sorties in support of the humanitarian relief effort in Somalia. There have been a total of 4 Commanding Officers of The Silver Foxes as an A-6 squadron. The first was CDR Jack Samar in 1987 and the last was CDR Larry Munns in 1991. Fun was had by all at VA-155 the Silver Foxes dedication and reunion. So much so, that a few will return to crew the Intruder at Airshow 2001 and beyond! 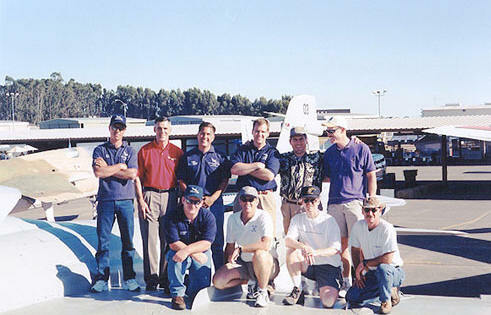 Standing left to right: Crewman Jim Madero, CO/BN Frank Sweigart, Plane Captain Mark Fajardin Sr., LT/Pilot Jim "Zorch" Canfield, LT/Pilot Rob "Levi" Paredes, LT/Pilot Kevin "Dizzy" Carlton, Kneeling; Crewman Mike Houghton, CO/Pilot Larry Munns, LCDR/BN Mike "Snake" Novak, and LCDR/Pilot John "Lick" Mawhinney.